Founded in 2002, the website MetroLyrics now offers tons of lyrics, which you can search by top, by artists, by genres, etc. On the result page, you can view the lyric in plain text as well as in a sidebar widget where the lyric will display automatically. Besides, you can also listen to the songs or watch the music videos for free. 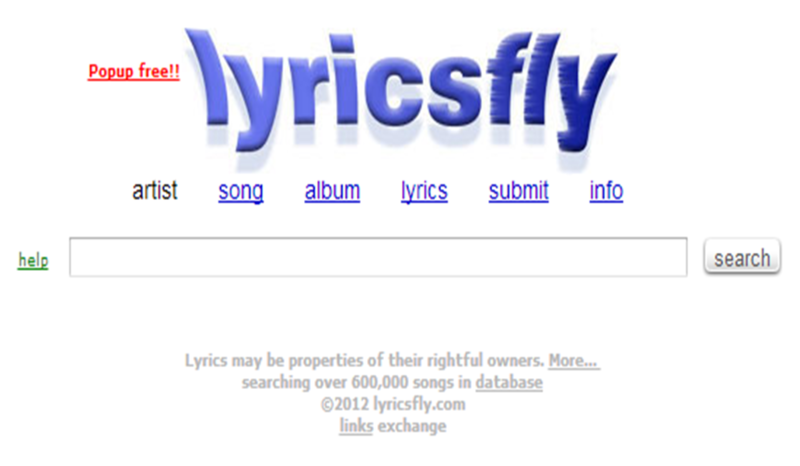 You can submit or request song lyrics if you can’t find them on the site. 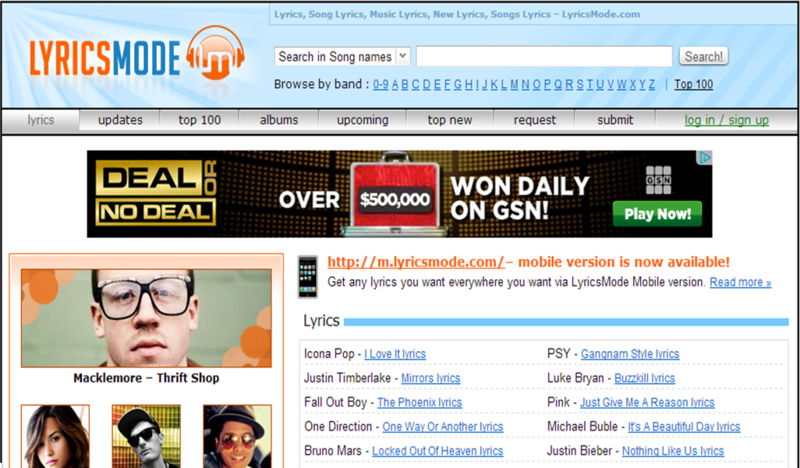 LyricsMode is a comprehensive online lyrics website, on which you can find many free song lyrics. 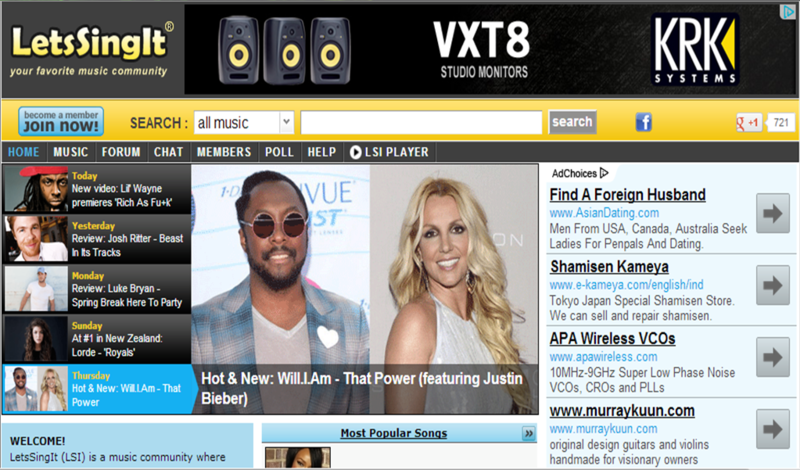 You can post any lyrics to your site with the flash widget, view videos for most popular lyrics, and request or submit lyrics. And you can also find song lyrics you want via LyricsMode Mobile version. LetsSingIt is a music community, besides lyrics, you can also find some music related information like album tracklists, artist news, biographies and pictures. On the result page, you can listen to the song, add comments, share to your social accounts, etc. Lyrics.com is a music community with a large searchable lyrics database, from which you can find song lyrics via Now Playing, Top Songs, New Releases, or Featured Artists. 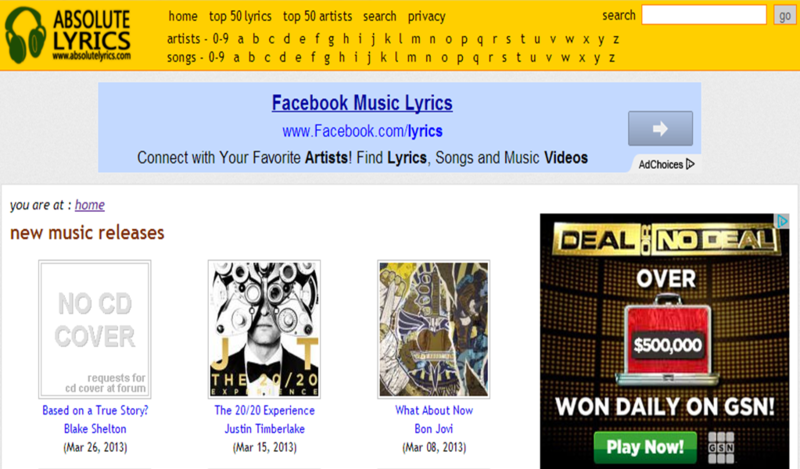 On the result page, you can read the lyric, watch the music video, get ringtone, or share with your friends. Azlyrics is a lyrics collection organized by artists alphabetically. 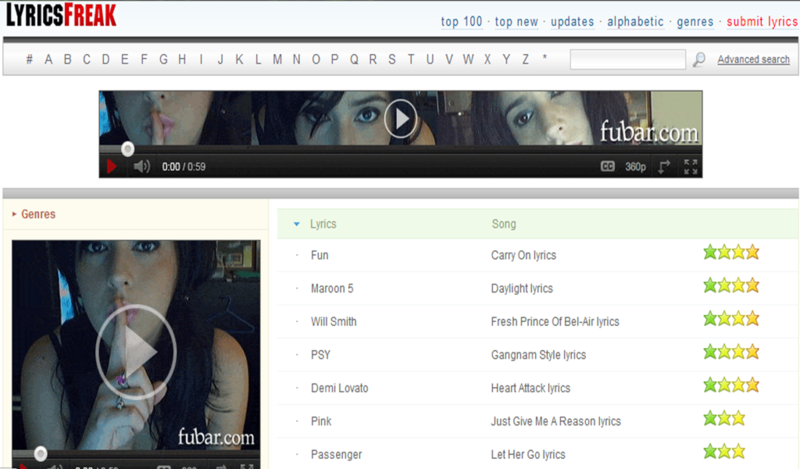 You can search lyrics, request or submit lyrics, or watch thousands of videos from all of your favorite artists online. On the lyric page, you can also listen to the song on the Jango website. As a large lyrics collection, Absolute Lyrics offers a lot of song lyrics, which you can search by artist name and song title. 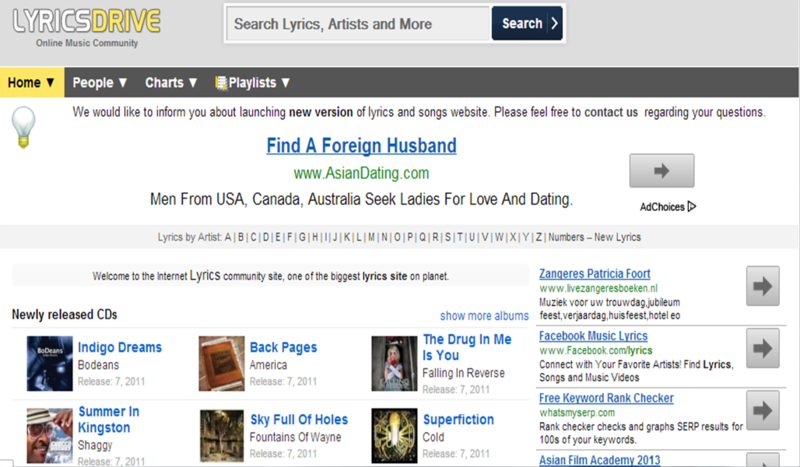 You can find song lyrics on the site, and you can also listen to the song on Jango. 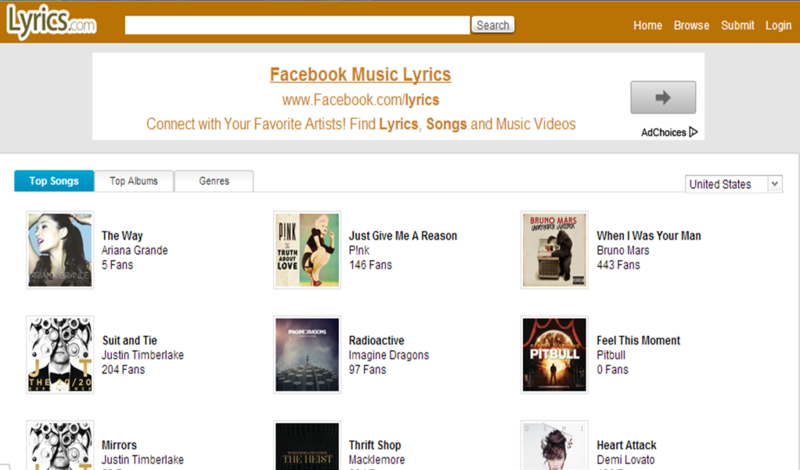 Lyrics Freak offers a lot of song lyrics, which you can search by artists, albums, or genres. 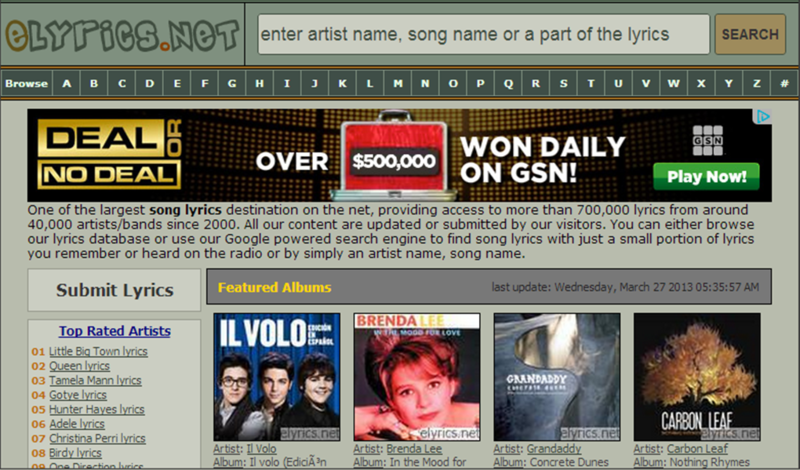 On the result page, you can vote, share or print the lyric, and you can also listen to the song on Jango. On the Song Lyrics site, you can search and browse many free song lyrics, you can search lyrics by rock, latin, dance or many other genres, and you can also submit lyrics. On the result page, you can read the lyric as well as listen to the song. Lyrics contained within lyrics.astraweb.com subject to US Copyright Laws and are the property of their respective authors, artists and labels. Commercial use prohibited. lyrics.astraweb.com is a not-for-profit organisation. All advertising proceeds are used to maintain its servers. LyricsDrive is an online music community search in database of 463 731 lyrics and songs from 17 626 artists. 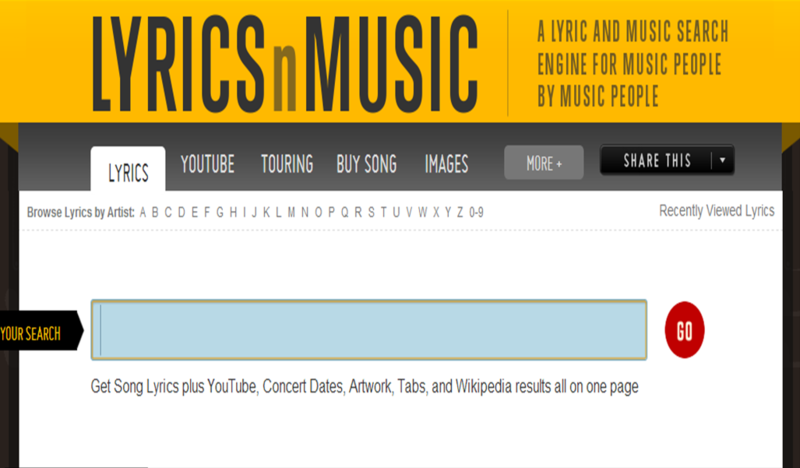 LyricsnMusic lets us to get song lyrics plus YouTube, Concert Dates, Artwork, Tabs, and Wikipedia results all on one page. 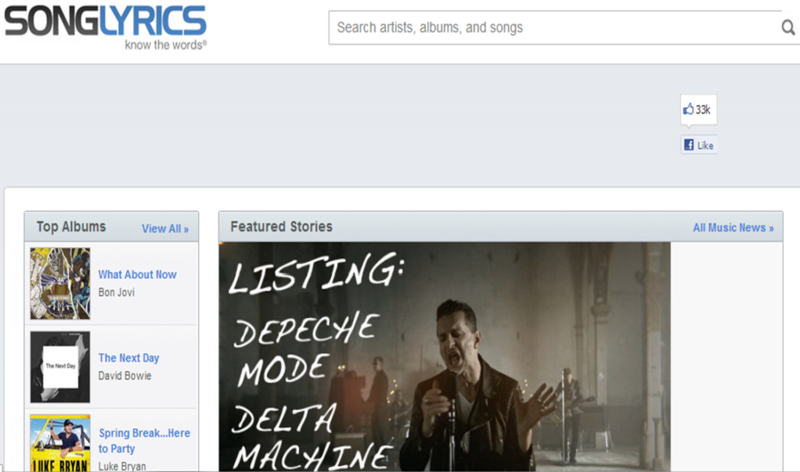 eLyrics is one of the largest song lyrics destination on the net, providing access to more than 700,000 lyrics from around 40,000 artists/bands since 2000. All our content are updated or submitted by our visitors. You can either browse our lyrics database or use our Google powered search engine to find song lyrics with just a small portion of lyrics you remember or heard on the radio or by simply an artist name, song name. 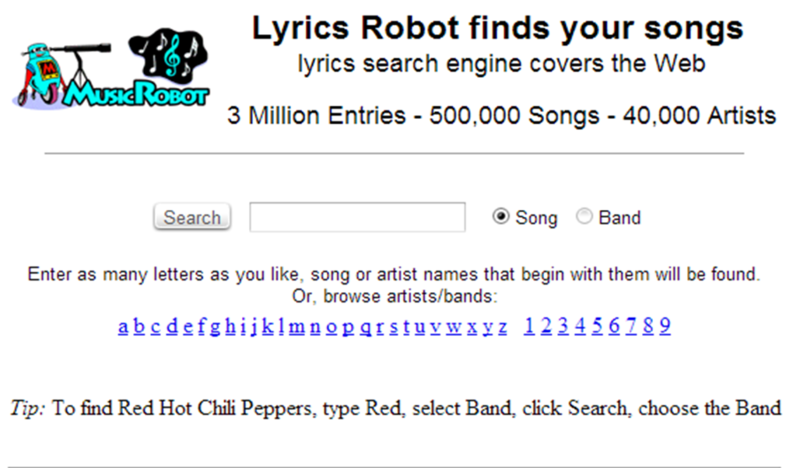 Lyrics Robot finds your songs lyrics search engine covers the Web 3 Million Entries - 500,000 Songs - 40,000 Artists. 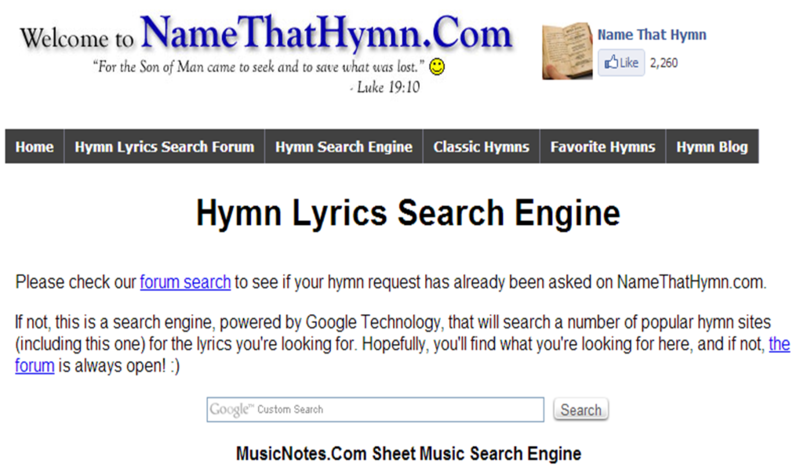 Please check our forum search to see if your hymn request has already been asked on NameThatHymn.com. The Lyrster search functionality adheres to an intelligent algorithm to ensure you find the exact title you're looking for. Dooballoh - Search engine for hip-hop, rap, rhythm and blues, and reggae lyrics. Find Me Lyrics - Lyrics database of old and new songs. Over 90,000 lyrics listed. Search by keyword or browse by artist name. FindMeATune - Search for songs by entering a few words of the lyrics. LyricFind - Search engine for over 11,000 songs including a full-text search. 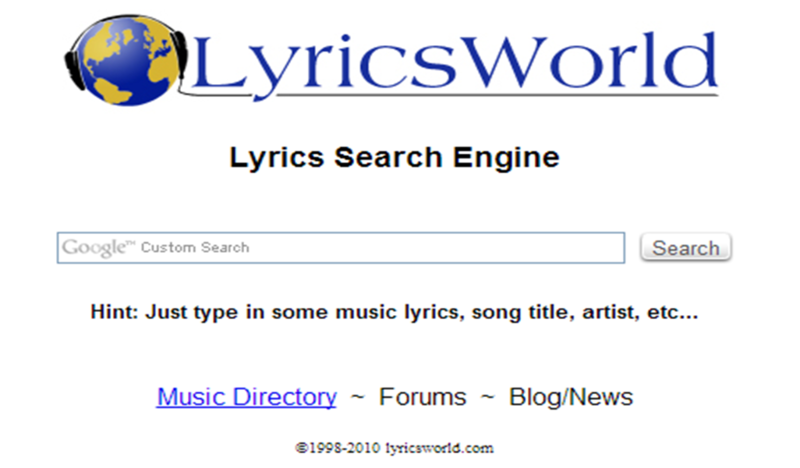 LyricSearch.net - Search for the words to your favorite song with this easy to use search interface. 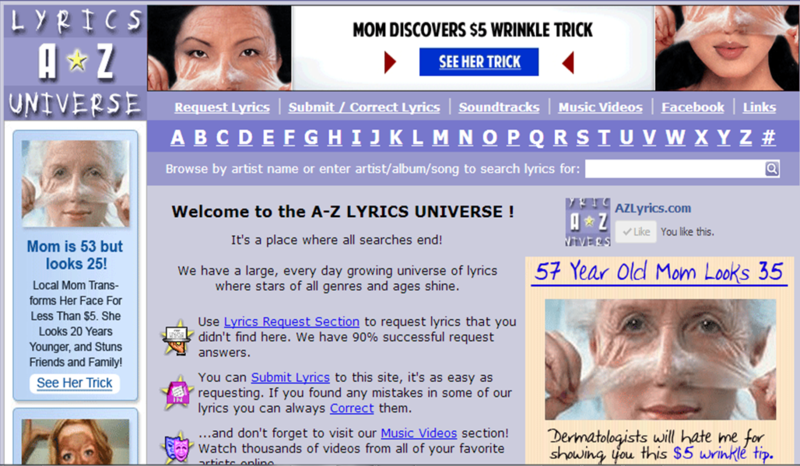 Lyrics Book - Browsable and searchable lyrics database with more than 150,000 lyrics. LyricsFind - Search the web for thousands of lyrics sites. A big guitar tablature archive and own fresh lyrics archive. LyricsFire - Lyrics database sorted by artist alphabetically with advanced search functions. Easy to navigate. Music Lyrics Search Engine - A free music lyrics search engine supporting artist, song name and full text lyrics searches (and combinations of these). 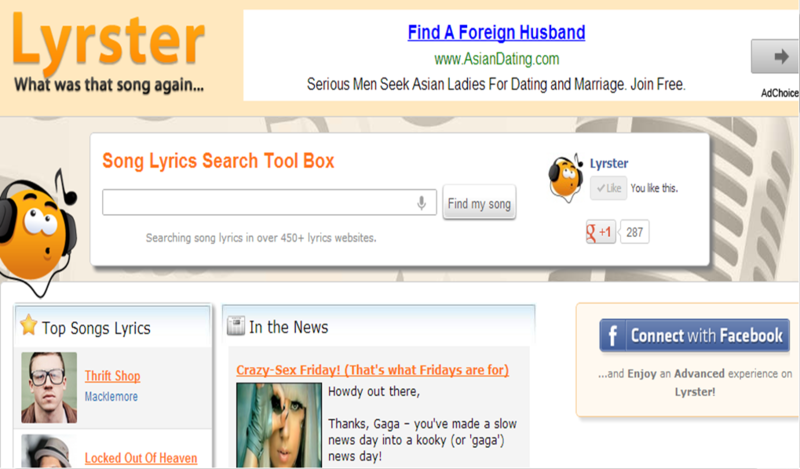 My Lyrics Finder - Easy search engine for songs. 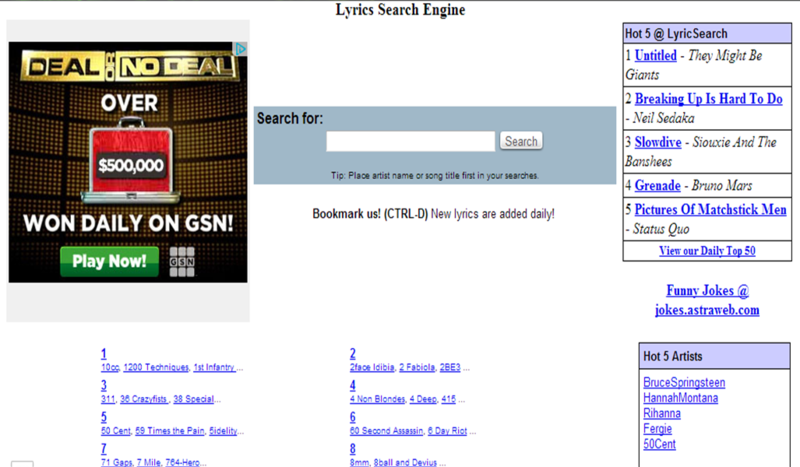 QLyrics.com - Large searchable lyrics database. Song texts of all genres. Song And Music Lyrics - A list of thousands of song lyrics. Search for free. Songme.com - Large archive with search engine. 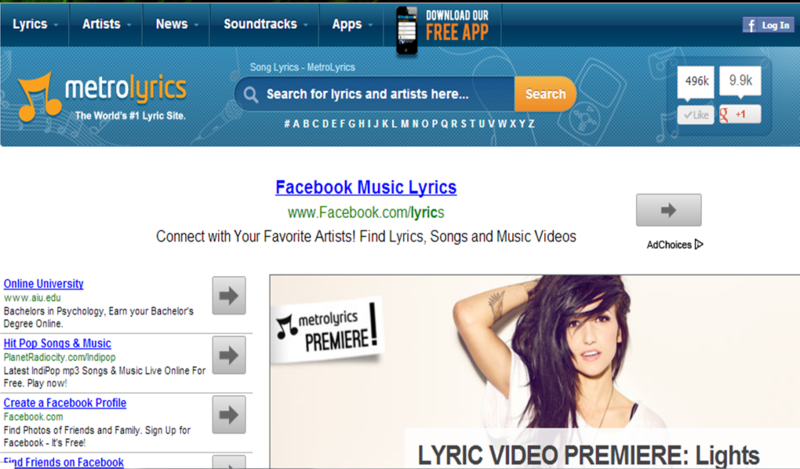 StraightLyrics.com - StraightLyrics.com provides you with a large free song lyric database. The Music Lyrics Database - Huge lyrics collection with powerful search fulltext engine. Fast and effective search.